The experience gained in Eurocaracol over the years, repeated market surveys and demands made by our clients have prompted the directors of Hélix de Córdoba to take on a new challenge: Selected frozen snails. Selection begins with the basic materials. 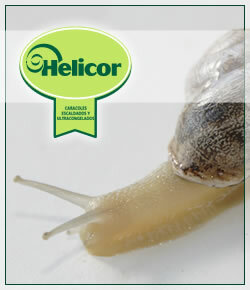 Our snails come from a single region in order to avoid mixing different types of products from the same species. Once the snails reach the processing plant, they are carefully selected to obtain an even and uniform product; a unique and novel process in the market. The entire production process - washing, cooling, selecting, freezing, canning and bottling, packaging, labelling and palleting – is automated and carried out following strict and rigorous procedures for controlling time. This process is combined with a system for detecting metals and controlling packaged weight. 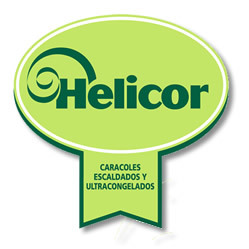 In addition to acquiring all the characteristics of “El Caracol de Oro”, Helicor has taken a further step to become the premiere brand of Hélix de Córdoba S.L.